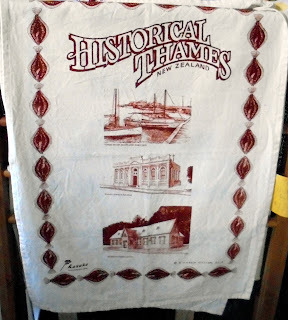 Many of the tourist attractions in Thames have a growing collection of Thames Memorabilia - souvenirs. 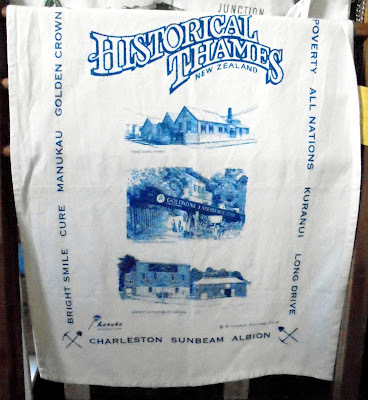 I spotted some delightful Tea Towels at the Thames Rock Shop, Thames School of Mines (Cochrane Street, Thames). One features Hotels, another a mix of buildings and the third is mining related. Great for tourists and Thamesites alike. 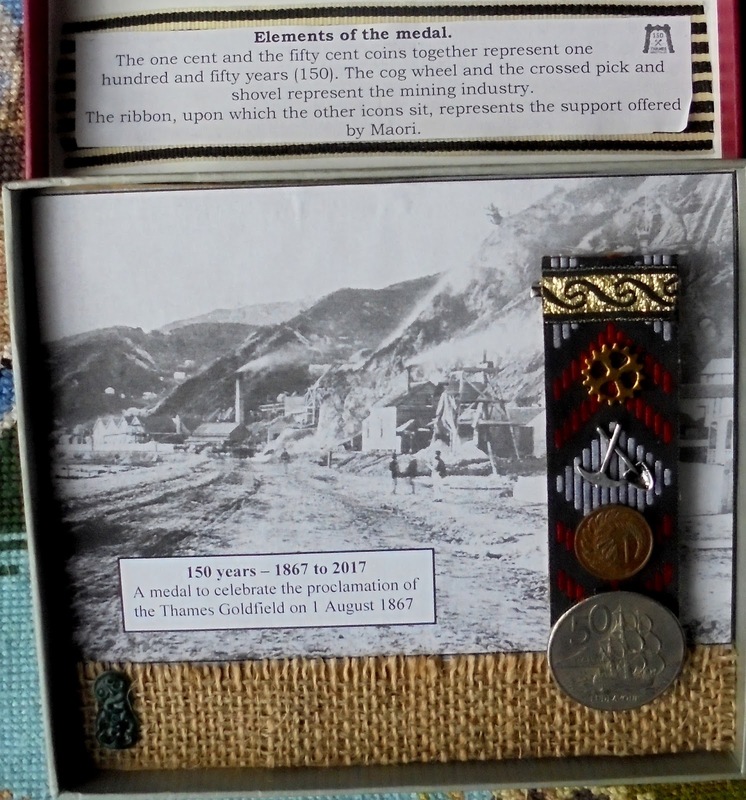 The Thames Museum, has a very different item of memorabilia - a clever medal that commemorates the 150 years since the proclamation of the Thames Goldfield. The medal is presented in a gift box. 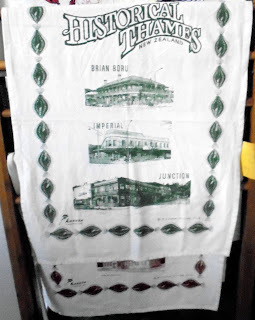 Future posts will highlight items currently available, along with ones our ancestors collected.